Bison is unbelievably delicious. As much as I enjoy ground beef, bison has a tender sweetness that just can't be topped. 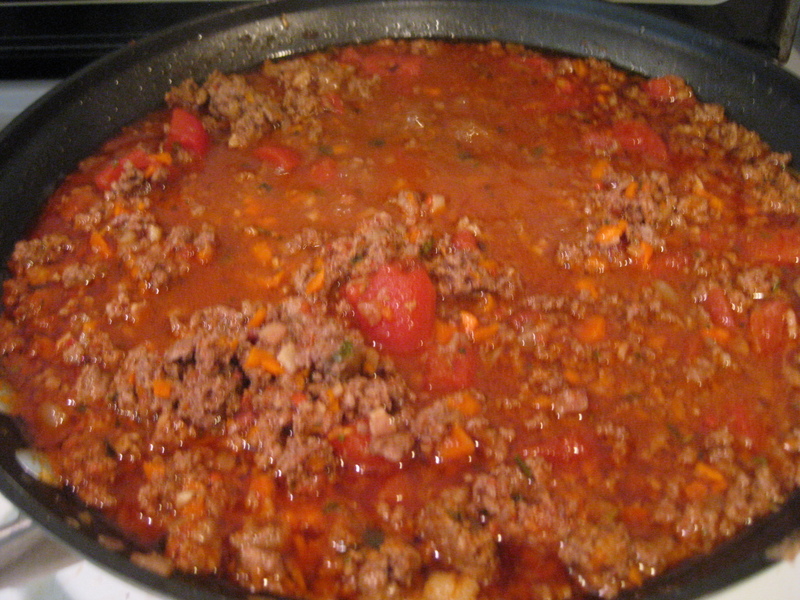 Bison Chili as it simmers. While I'm not 100% clear as to general across-the-board practices for raising bison, the National Bison Association has a nice FAQ and I've gathered that regulations vary by state and by the labels that producers desire to have listed on their packaging. Nutrition labels for different cuts, if you're curious, can be found here. I'm currently in the market for a fully grass-fed and finished source for a whole bison (excited about the fact that THIS grower is located close to my hometown – KC family, take note!) as the bison I've been using requires either shipping or an hour of driving to obtain, though it's of incredible quality. Back to the Chili – this is ridiculously delicious. 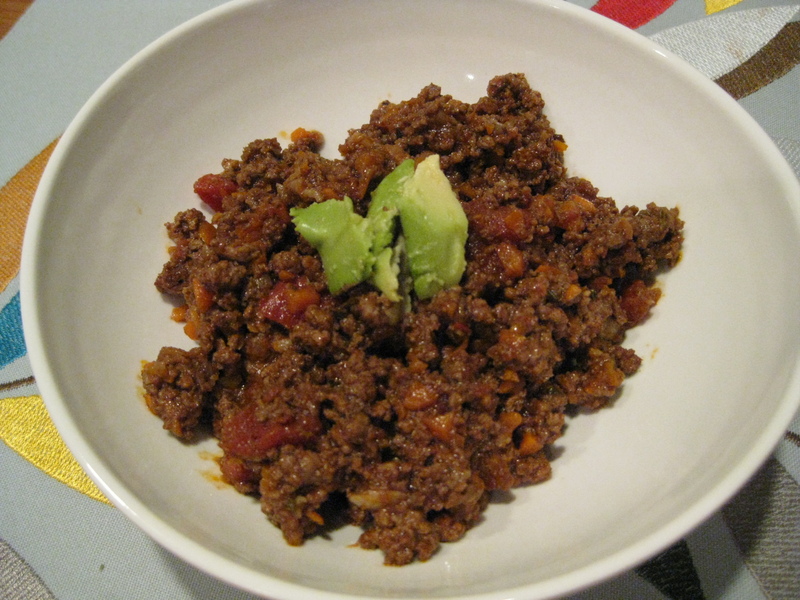 I “cut” this recipe with equal portions of GF ground beef from Cherry Grove Farms the last time to maximize the leftovers, but the taste just wasn't the same. Yet another recipe adapted from The Primal Blueprint Cookbook. Buy it so I don't get sued for giving away their recipes. Maybe I will even buy it FOR you. Here's an intentionally vague overview – Message me if you want to borrow the cookbook. Cook the bacon first. Add onion to the bacon/rendered bacon fat and cook. Add garlic. Add meat. Add broth. Add veggies and spices. Cook longer. Add secret ingredients. Make this for a party. You will leave extremely popular. Leftovers aaalll week long. Or until CaveHusband realizes there are leftovers. Uh, I need to borrow this cookbook. You got it! I’ll bring it to Tribe next time you are in.